Football, new countries and cities, great parties, new friends and most of all, fantastic memories. Just some of the reasons I love being in the Tartan Army. I attended my first away game in November 2003 to watch the play-off against the Dutch in the foolish hope of qualifying for Euro 2004 and seeing Scotland compete in a major finals. We’d qualified almost every other year so it would be a dawdle, right? So there I was, sitting behind Don Hutchison’s Mum and Dad in the Amsterdam Arena, wearing a plaster cast up to my knee courtesy of a goalkeeping injury, watching my team getting humped 6-0…. and I couldn’t run away even if I wanted to! A couple of months later and a further 4-0 pummeling down in Cardiff saw my youthful hopes of watching halcyon times dashed and my away goal difference sitting at a horrific 10-0, from which it’s never recovered. I’ve been fortunate enough to have been on numerous trips since and have been to see the lads play as far afield as the USA and Japan and it’s something I hold dear to my heart along with the friends and experiences gained along the way. There are so many vivid memories looking back, of highs, lows, laughter and tears that it’s impossible for me to pick just one memory from on the field, or from the many party nights across the globe. Reminiscing did though make me think about some of the best experiences and there’s one I’d like to share with you but, surprisingly, it’s not one that comes from either the football field or a bar. 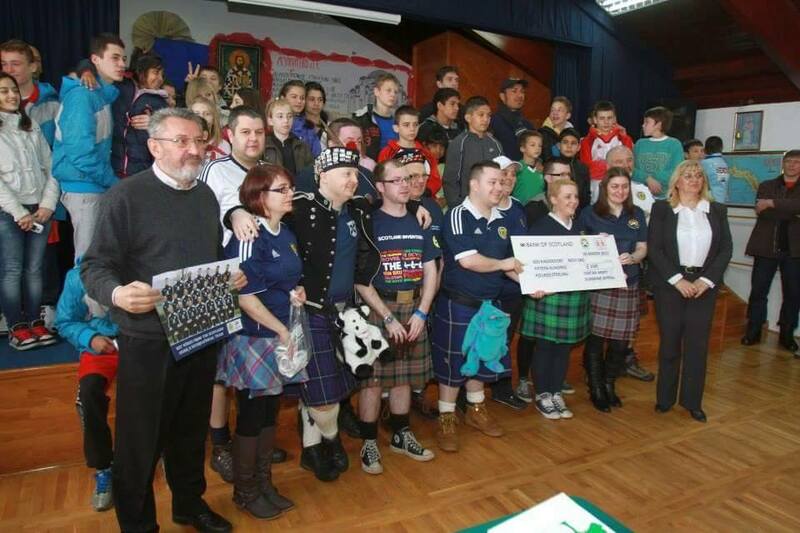 It’s something that defines the Tartan Army and sets them apart from numerous sets of fans worldwide: their openness, generosity and willingness to help others. 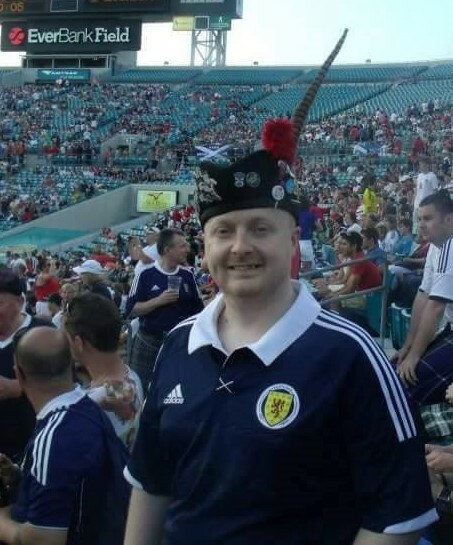 Through mutual acquaintances I was fortunate enough to make friends with people involved in the Tartan Army Sunshine Appeal, the original Tartan Army charity. It’s only having experienced some of these events first hand that I see the difference that the Sunshine Appeal makes, and the incredible response it gets from those organisations who do great work for those in such need. My own personal highlight with the Sunshine Appeal was on the trip to Serbia. With the defeat from Wales still fresh in our minds from the night before and the mood not improved by a five hour flight delay, we eventually arrived in Budapest for “a few quiet drinks” en route to Serbia. Needless to say a messy 4am finish ensued in various random Budapest bars, drinking substances that as yet remain unidentified! Monday required a six hour train journey on a first class train carriage it turns out never existed, so we end up crammed into various compartments making numerous friends along the way including an elder member of the Serbian special forces and the ex-Yugoslavian youth wrestling champion! The train crosses the border onto Serbian soil; it’s a flat terrain with scattered forests, devoid of landmarks, a predominantly agricultural area made to look like some sci-fi scene by the driving snow. We indulge in the local hostelries but curtail the refreshments as we have important business to attend to in the morning, namely the Sunshine Appeal presentation. The charity presentation on the morning of matchday at SOS Kinderdorf was one of the most touching experiences I’ve ever had. 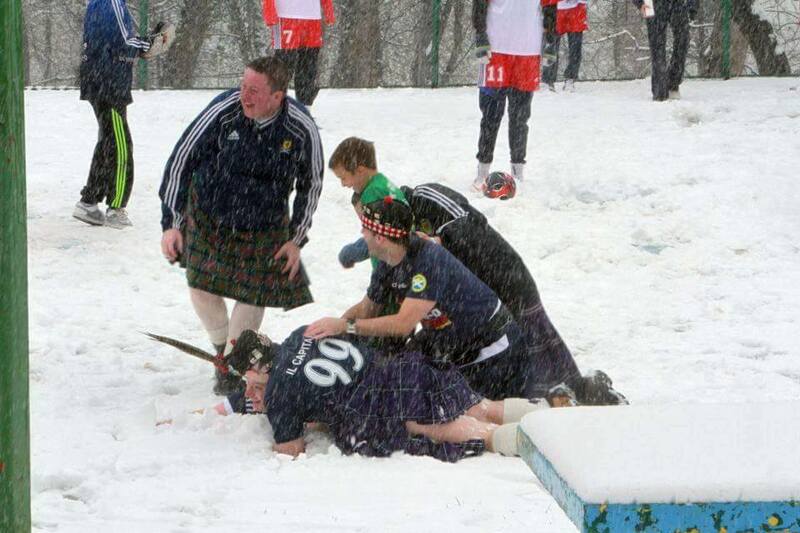 It was staggering as it received widespread media coverage and even an appearance by the local minister for sport. The Serbian embassy in London had helped identify the worthy children’s group who provide quality alternative care for children who cannot live with their biological families. There’s a large turnout at the kids facility and after doing the cheque presentation on behalf of the Tartan Army for £1,500, we receive a guided tour of the facility where the children are cared for. The kids seem genuinely grateful that someone has taken the time and effort to help make their lives a little better and our group sportingly (and somewhat stupidly) accept a challenge for a game of football against the kids in the ongoing blizzard outside. As for the real game that evening, we were happy with 0-0 at half-time but some poor defending for both second half goals meant we didn’t really deserve much and were the first team in Europe to be officially out of contention for a place at the finals. Things really couldn’t get much worse but we all agreed that the trip had already been worthwhile thanks to our visit to the children’s village. Following the obligatory 6am drinking spree we come to the conclusion that the game was the worst bit of the trip and it’s moments like the one experienced at SOS Kinderdorf that will live with us all long after we’re able to go on trips ourselves. Moments like that are only possible through the sheer generosity and compassion of the Tartan Army, who help to keep the Sunshine Appeal alive.